Devon heating specialists, SW Dart Ltd, will manage the design, supply and installation of all under floor heating (UFH) components as a single point of contact. We offer underfloor heating systems that can be used to comfortably heat your home or office efficiently. Our range of warm water under floor heating is integrated seamlessly to provide a heating and hot water system tailored to the individual needs of each customer. We design and supply a complete package with one source of responsibility and one point of contact. Do not hesitate to get in contact with S W Dart today for any more information on our under floor heating systems. 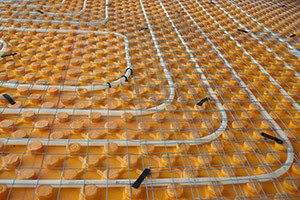 Under floor heating works by pumping controlled, blended, warm water from any heat source through plastic tubing embedded in the floor. Suitable heat sources are gas and oil boilers, range cookers and renewable technologies (heat pumps and solar) as found on this web site. Integration with one of our range of heat pumps provides the most energy efficient means of running the UFH. When under floor heating is linked to a heat pump or maybe a solar thermal system also supplied by S W Dart then all necessary mechanical and electrical drawings will be supplied to illustrate exactly how the various components should be fitted and then linked to each other. A heat pump will run the system as low as 30C, dramatically increasing the efficiency of the system compared to a gas or oil boiler running at 40-55C. The source temperature is always taken into account when designing and specifying the flow temperatures for maximum comfort and efficiency. As the emitting area of Under Floor Heating is large then sufficient warmth is provided to keep your home or office comfortable even on a cold winter’s day with no need for supplementary heating. SW Dart supplies a complete package of high quality components including installation manuals and a full system design with bespoke CAD drawings showing all mechanical pipe work and valves as well as electrical connections. 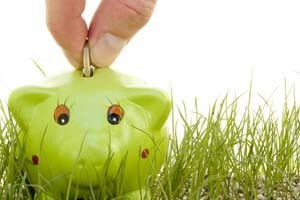 Tailored manuals are provided to suit the heat source whether conventional boiler or heat pump. S W Dart has access to construction materials that will provide installations on over 60 different floor constructions, from solid beam and block to specific acoustic variations and timber-joisted floors. Whatever the project, we have access to a floor construction that will fit perfectly. Please contact us for any further information on our under floor heating in Newton Abbot or in the surrounding areas of Dartmoor and the South Hams region of Devon. We provide free estimates and we look forward to hearing from you.